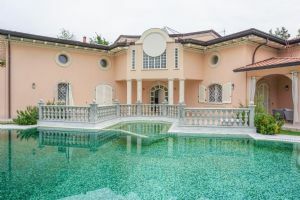 The villa for rent is positioned in one of the most important central streets of Forte dei Marmi, Roma Imperiale area. It is nearest the beach,only 700 mt. 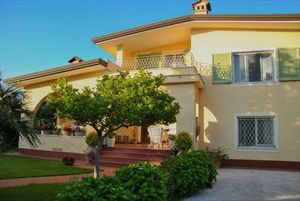 Real estate is an welcoming villa wrapped by an amazing garden (olive tree, fruit tree, flowers), all controlled with an allarm system. 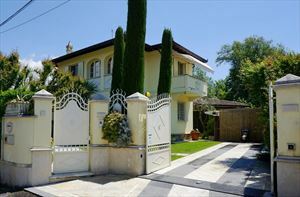 Real estate has automatic gates and own private garage located on a side of the villa. 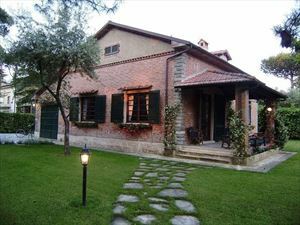 The villa is expanded in two levels: professional kitchen,dining room, saloon with fireplace, 3 double bedrooms, 2 single bedrooms, 4 bathrooms. The forniture of the villa is according with the traditional tuscany style.